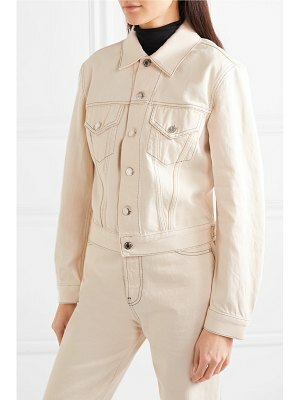 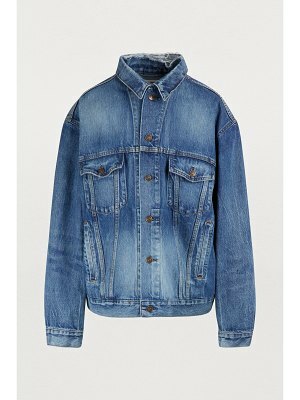 The it brand when it comes to innovative denim wear, Calvin Klein Est. 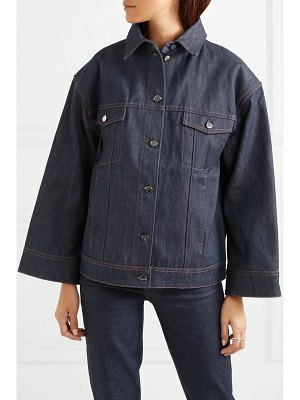 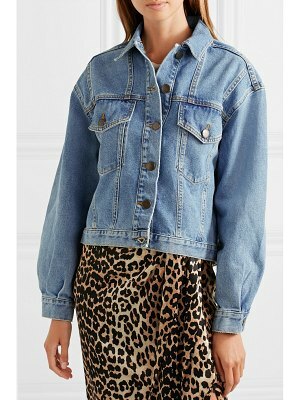 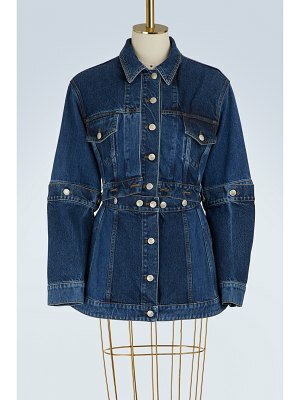 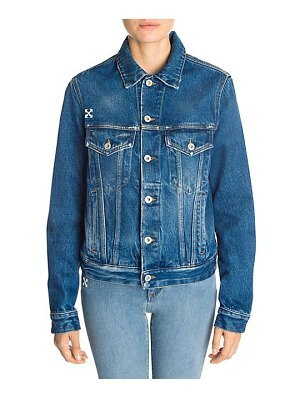 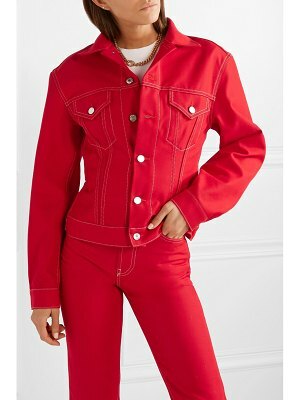 1978 here offers this denim jacket as a tribute to American culture. 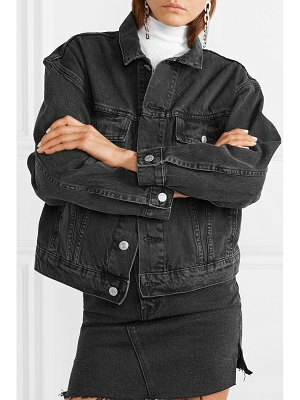 Featuring a slim, fitted cut, this faded black denim jacket boasts a pointed collar and two chest pockets. 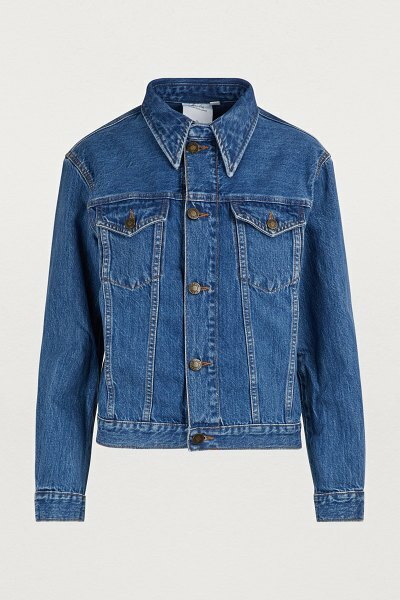 We love wearing it with slim jeans and vintage boots for a timelessly classic rock look.